Having passed by the River Palm Terrace almost every day for a year, we finally decided to check it out. For starters, we went to their website, where we were excited by the following statement "The River Palm Terrace has been consistently rated as New Jersey’s top steak house and one of America’s top restaurants." 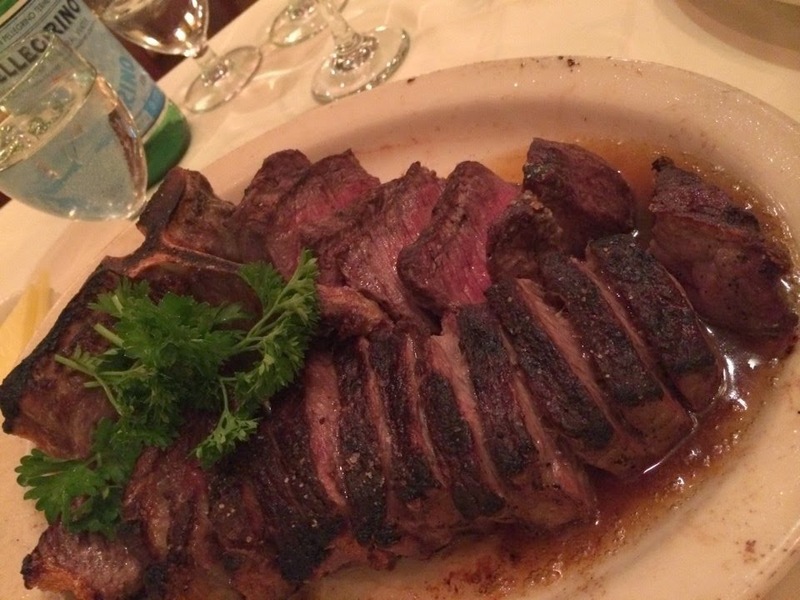 Having moved from Manhattan, we were excited by the prospect of a great steak house, right in our backyard. We decided to try the Mahwah location on a Friday night, and were pleased to get a reservation with only 20 minutes notice. The restaurant provided valet parking, and there was a bright red Ferrari that had just pulled up in front of us. My expectations for the meal went up even higher. The menu was what you would expect from a steakhouse, and except for the steaks (which are on the higher end) the prices were reasonable. We were promptly given an assortment of bread, and our drink orders came quickly. 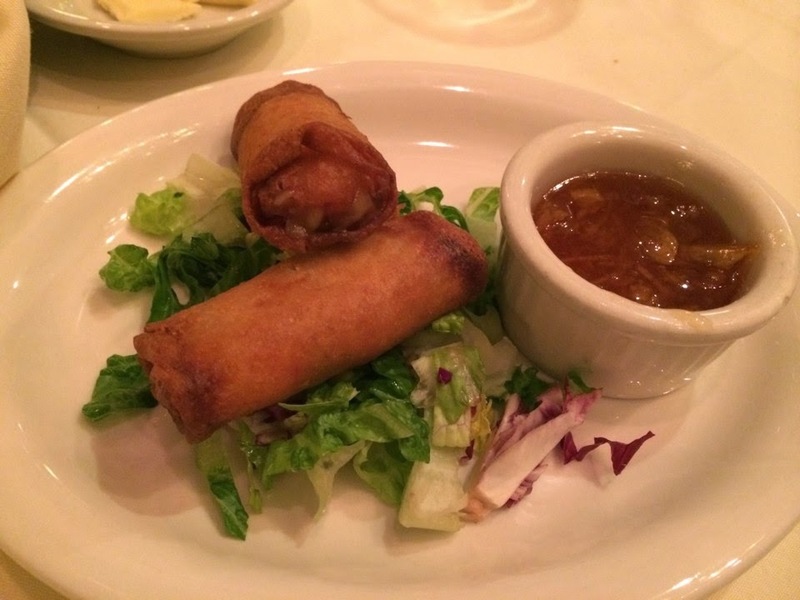 We decided to try the coconut shrimp spring rolls and the house salad to start, followed by the porterhouse for two. The spring rolls came out fairly quick, and were distinctive. They had a nice crisp, but the inside was a bit mushy. We were expecting a full shrimp inside, but it seems that the filling consisted of some chopped up shrimp mixed in with other fillings. All in all, the spring rolls were OK. Next came the house salad, which was mixed together in a wooden salad bowl. We were quite disappointed with the salad, it seemed like something cobbled together by someone who is not skilled in the kitchen. 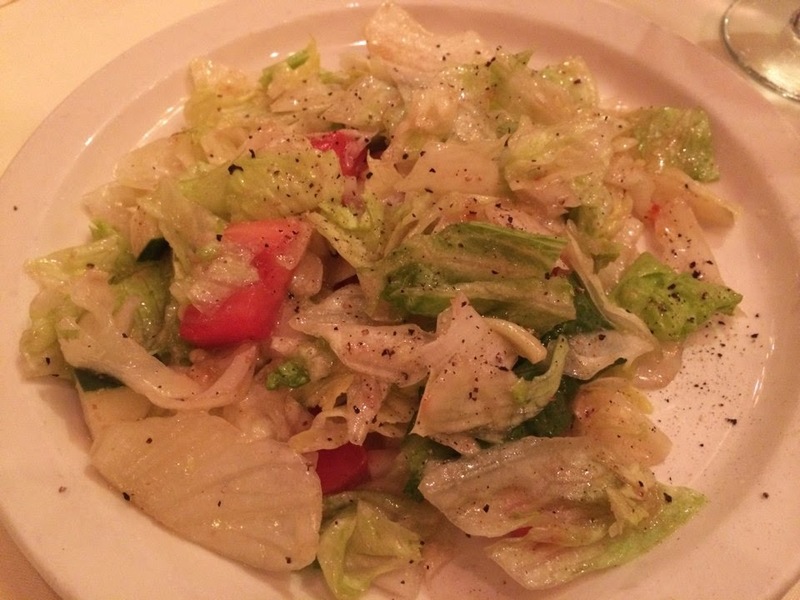 It was a mixture of iceberg lettuce, tomato and onion, over dressed in Italian dressing. We may have just ordered wrong, as we saw some other salads that looked better, albeit, they were not the "house salad." At this point we were very disappointed with the first course, but were optimistic that we were still in store for a great steak dinner. The steak came out, and was of a high quality and cooked perfectly. It was not seasoned as well as we like, but that was an easy fix. We ordered two sides, which was the perfect amount for sharing. 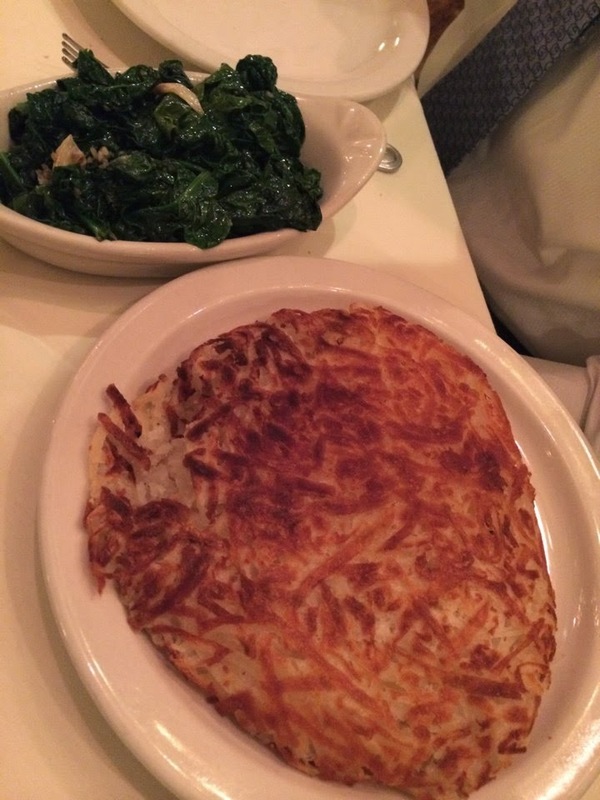 The hashed browned potato and the sauted spinach were exactly as expected. All in all, we were highly disappointed with the meal. While the steak was good, the place felt a little "tired", and at the price point, there are definitely better options out there. We do not anticipate going back anytime soon.